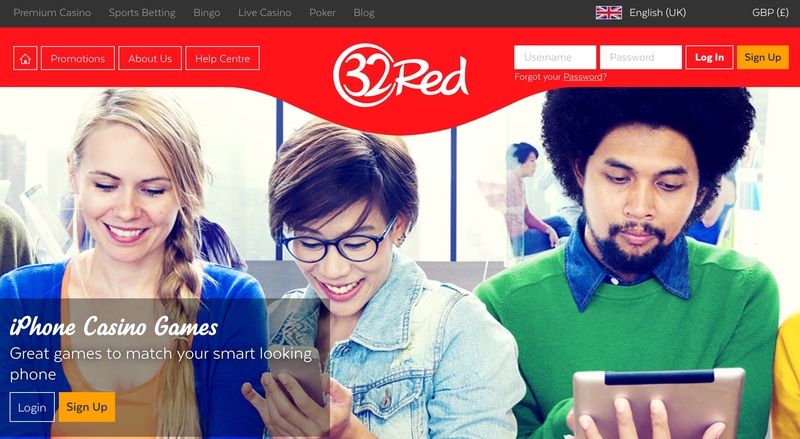 32 Red Mobile is certified by ECOGRA, licensed by the Government of Gibraltar and is listed on the London Stock Exchange. With the backing of 32 Red Casino and their assurance of one of the most entertaining, most transparent and fair online gambling experiences, you simply can't go wrong choosing this site for all your mobile gaming needs. They are an industry leader in all forms of gaming and it couldn't be easier to play. Simply complete the required form, select the game you want and wait for the confirmation SMS text message. Download the game to your mobile phone and there you have it; real live, real money gambling at your fingertips and a dedicated iPhone casino. 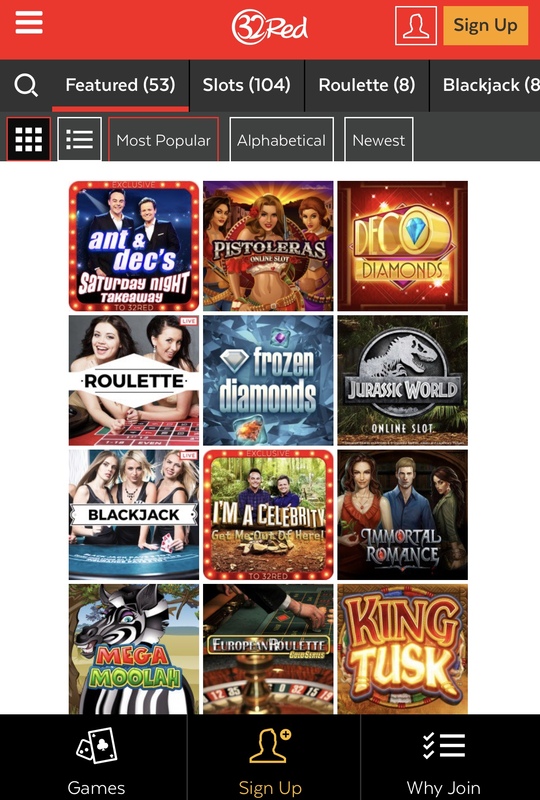 There are currently more than 100 iOS and android games in the mobile gaming section at this site and these include mobile slots, blackjack, roulette, baccarat, keno and scratch cards. The ever-popular Thunderstruck is also available as are big PJP games such as Mega Moolah and Major millions. The choice of games is continuously expanding, so make sure you keep a look out for more firm favourites. Financial security is completely assured through fully integrated software and payment solutions and enquiries can be made through the Player Support Team who are on stand-by 24/7 to help. Freephone numbers are available. Payment methods are no different for mobile gaming, and again these are fully integrated and supported and include: Credit/Debit Cards, Ukash, Neteller, Entropay and players on the Vodafone Network can use Vodafone’s Direct Billing Service.